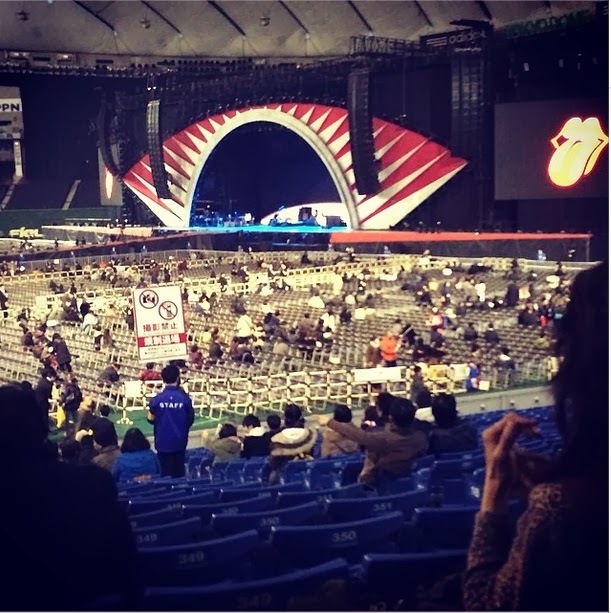 This thread is for live updates and comments regarding the Rolling Stones Tokyo show #2 March 4, 2014. Please tell us your pre- and post-show thoughts and comments here. But merch tents already opening and there is a long queue. I got this Tokyo exclusive t-shirt. 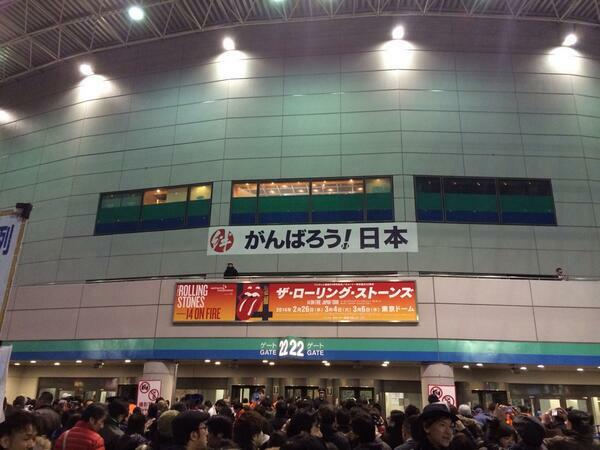 Outer corridor of Tokyo Dome. Realy like the t-shirt and also the poster of that shirt. Hopefully they will come available in the uk or europe. That is a terrific design! OK, I now officially want this more than the geisha. 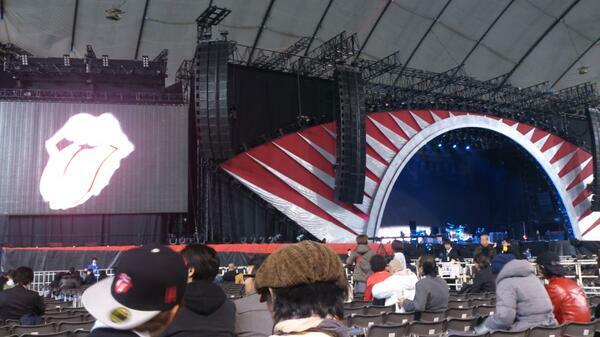 If any one is able to get pics of the stage and seating layout, much appreciated. Seating layout: see atsu's Japan Tour Page. Pics with the Stage from Tokyo-1: [www.iorr.org] and [www.iorr.org] . Edited 1 time(s). Last edit at 2014-03-04 10:15 by Irix. I'll be at the office so I have to sit this one out - have a great show everyone! 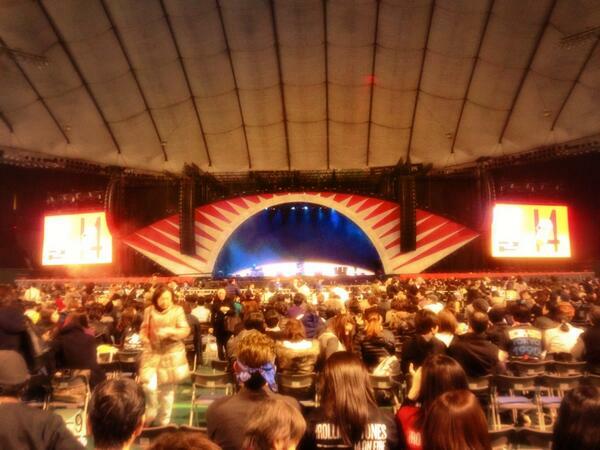 "awesome crowd. need to take 60min to get a T-shirt!" Very nice Shirts indeed! This is "Japan-Style" and I doubt they will sell stuff like that in Europe ... anyway: Have a great time at the gig and don´t mind about us guys here complaining about the setlist! Thanks for the pics, Cristiano! It's a pleasure, DP! 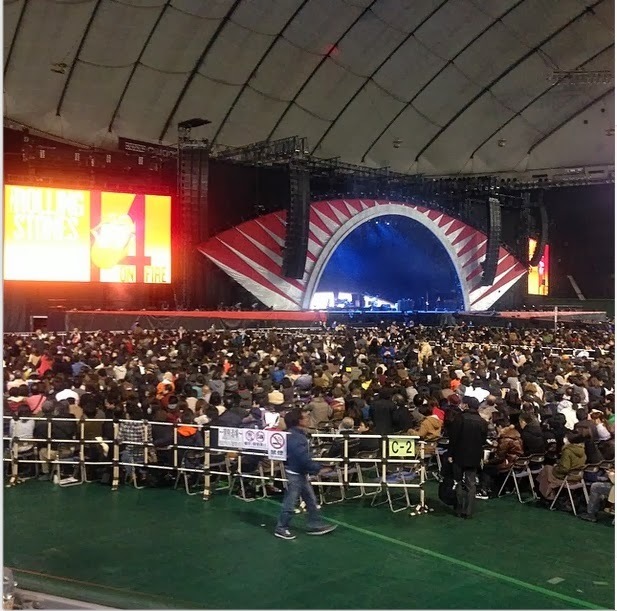 It's too bad that when the concert begin, the people there won't post as much photographs as we wanted to see. 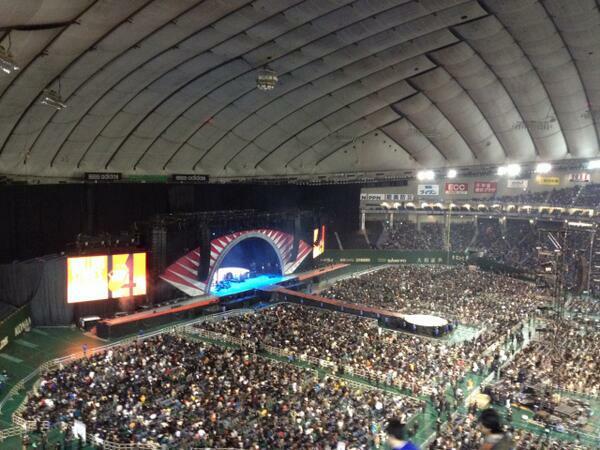 Don't understand why the stage is so high? Springsteens stage was pretty much at the level of the audience which was great. 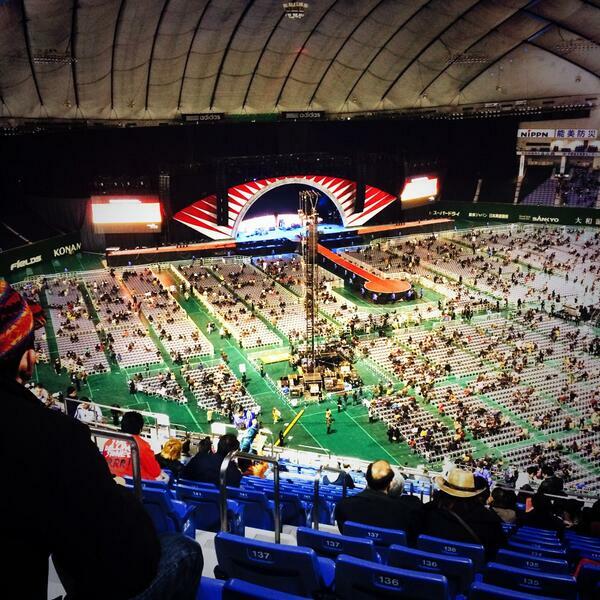 Cristiano, where are your seats for tonight's concert?